If you are reading this blog post it must mean that the world has not ended by some catastrophic disaster. Yes, we are all still here. It can be said that the reports of the end of the world have been greatly exaggerated. Life goes on and, ready or not, we are about to embark on another Christmas Season with family and friends. The last quarter of this year has been exceptionally busy for us. Our son got married and we hosted several family gatherings, all the while dealing with daily life and the usual seasonal preparations. Add to that some unexpected happenings such as my PC crashing and a minor car accident. To put it mildly we have been stressed out around here. 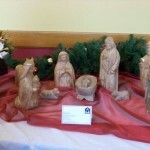 In an effort to try and relax and regain the feeling of the true meaning of Christmas, last Saturday Joe and I went to the St. Charles Senior Living Community, formerly St. Charles Seminary, in Carthagena, Mercer County, Ohio, to view a display of over 50 Nativity sets from around the world. 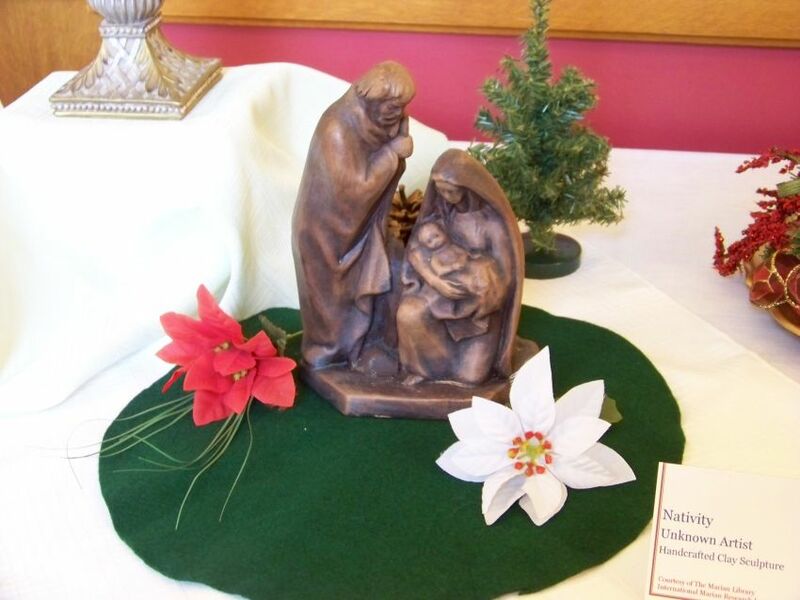 The Nativities were on loan from the University of Dayton Marion Library. 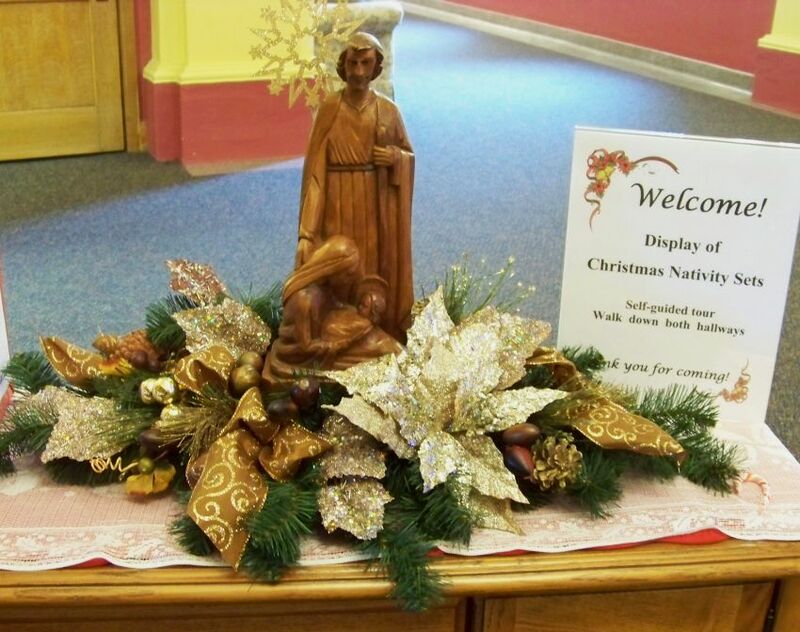 St. Charles Senior Living Community, Carthagena, Ohio. 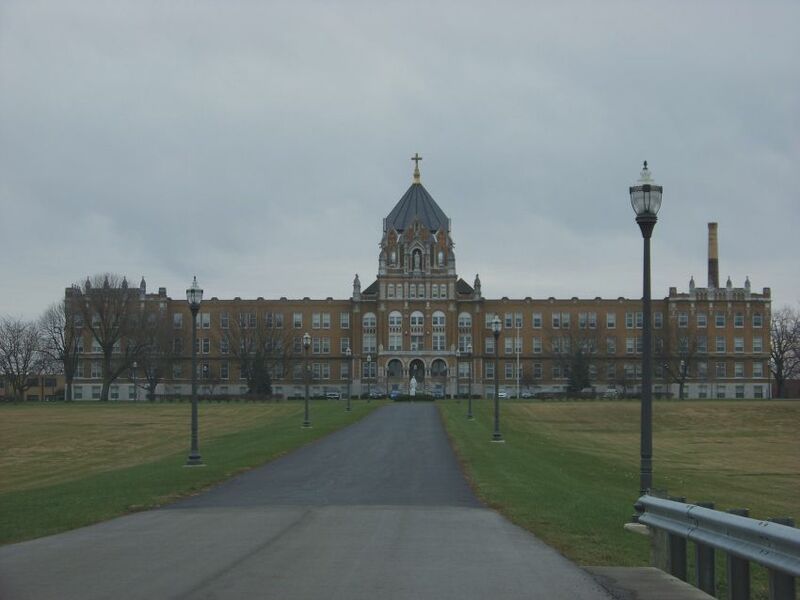 The grounds and buildings at the former seminary site are beautiful. I was there years ago on a field trip with my high school Latin class. 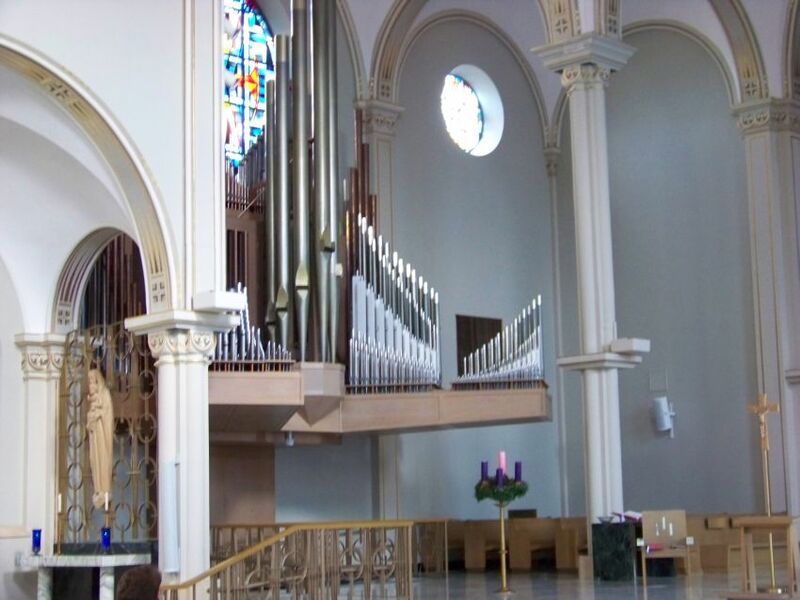 While touring the chapel back then someone mentioned that I was our church organist and the tour guide allowed me to play the chapel pipe organ. I was honored and thrilled to play the first song that came to my mind, Silent Night. Last Saturday I hoped to view the chapel once again and see how my memories of the chapel and the organ compared to the way they actually look today. Things were not quite as I remembered, but there is a good possibility that some remodeling had been done in the past forty-plus years. 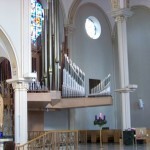 The organ pipes were still visible and the console was where I remembered. 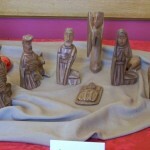 Below are a few photos of some of the Nativities that we viewed last week. 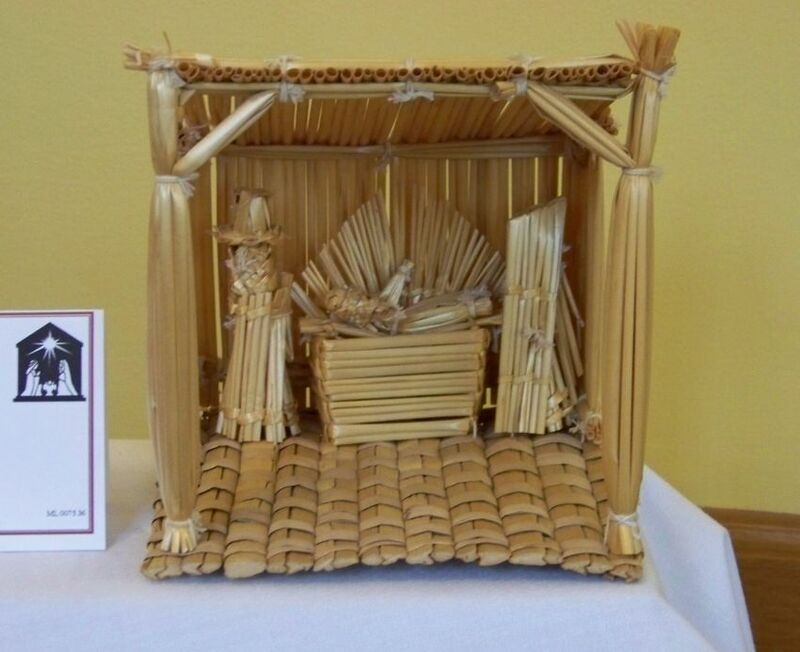 Wood with gold Nativity from the Philippines. 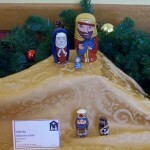 I liked the Nesting Doll Nativity set from Poland, shown below. 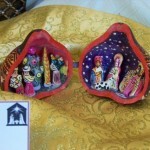 When I see nesting dolls I think of Russia or Eastern Europe. 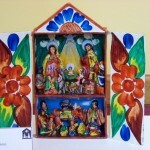 To me they symbolize folk-art of that region. However, not everyone likes this type of art. 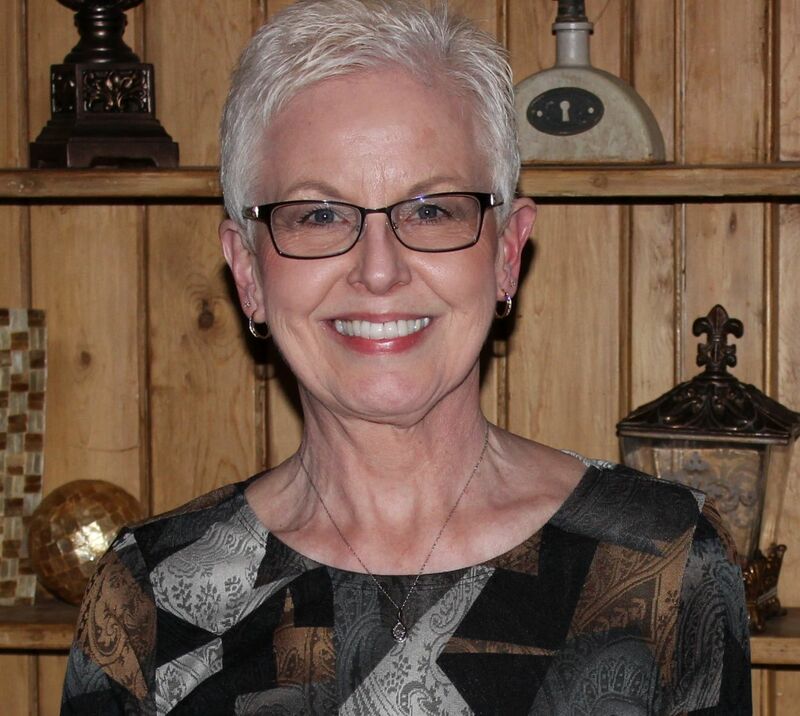 We talked with a resident of the Senior Community who was a native of Poland and had lived in the United States for forty years. 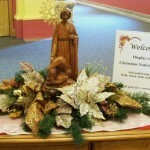 She did not like the Nesting Nativity at all. She said that it did not look like Poland. That Poland was beautiful and ornate. 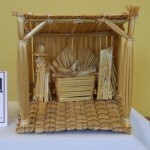 She thought the Nesting Nativity must have been made by Communists. She was appalled that I liked it at all. 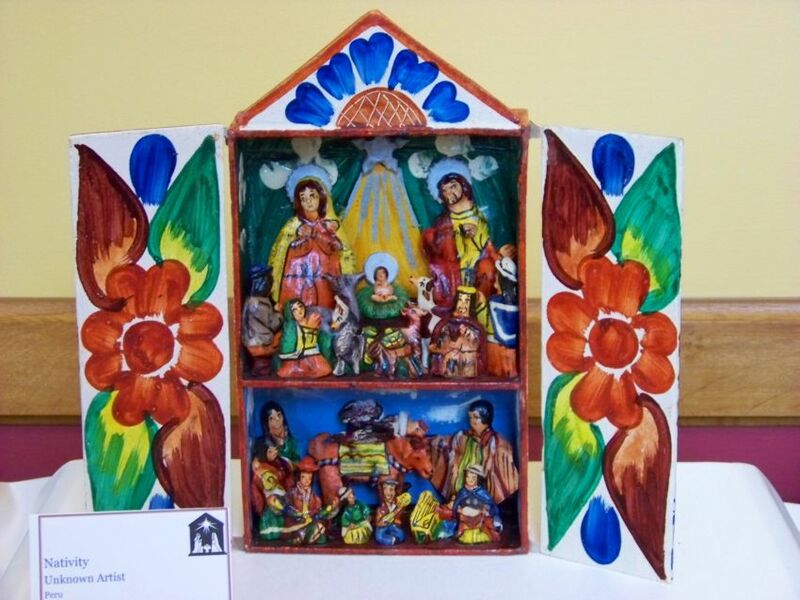 She showed us the Nativity that she liked, one with more life-like figures and trimmed in glimmering gold. 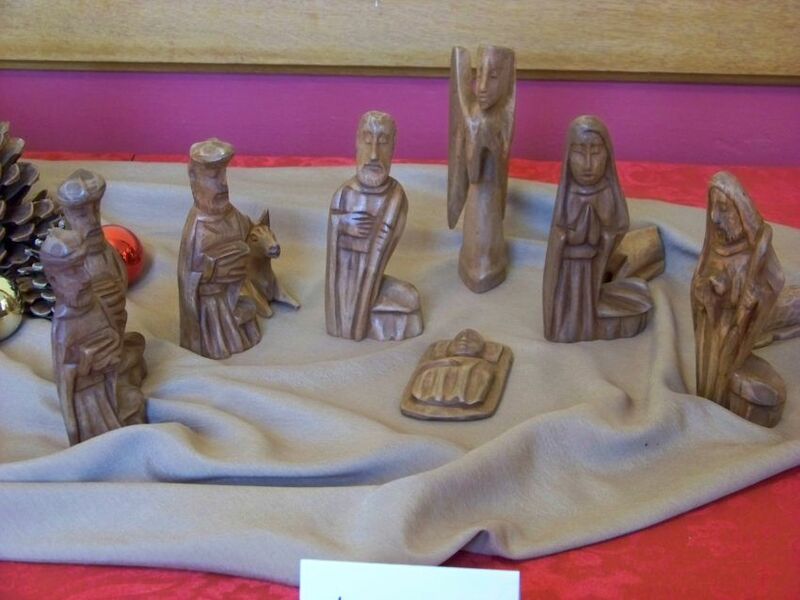 She said that it was more representative of Poland. 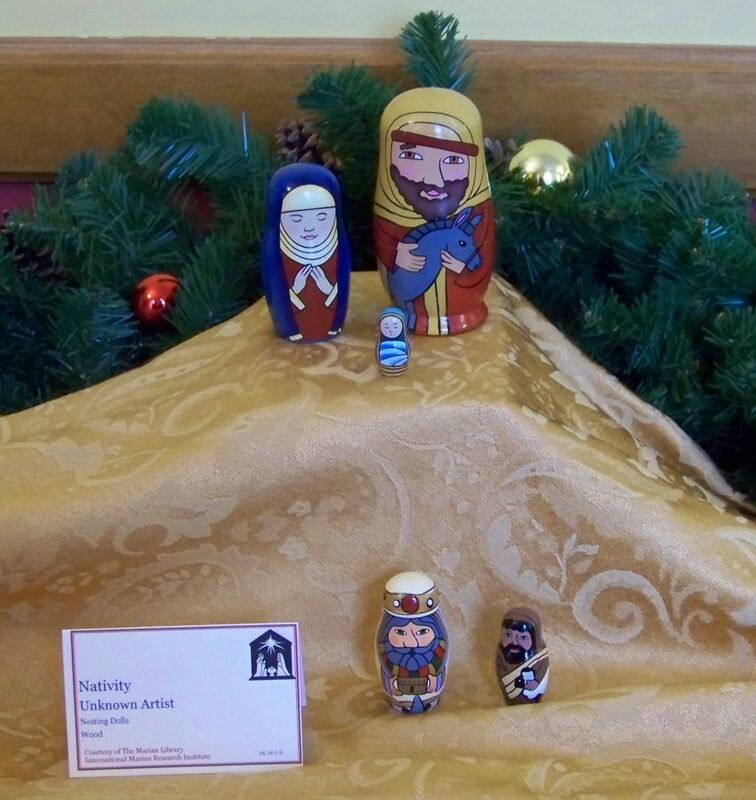 To each his own… I still like the nesting dolls. 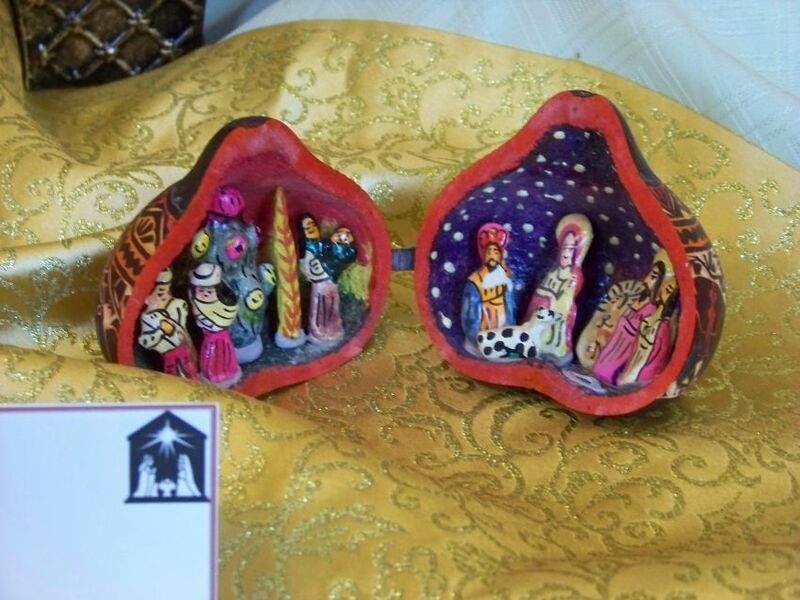 Nesting Doll Nativity from Poland. 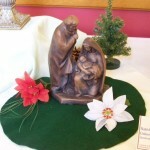 I really do like Nativity sets and enjoyed seeing so many types and styles made from many different kinds of materials. 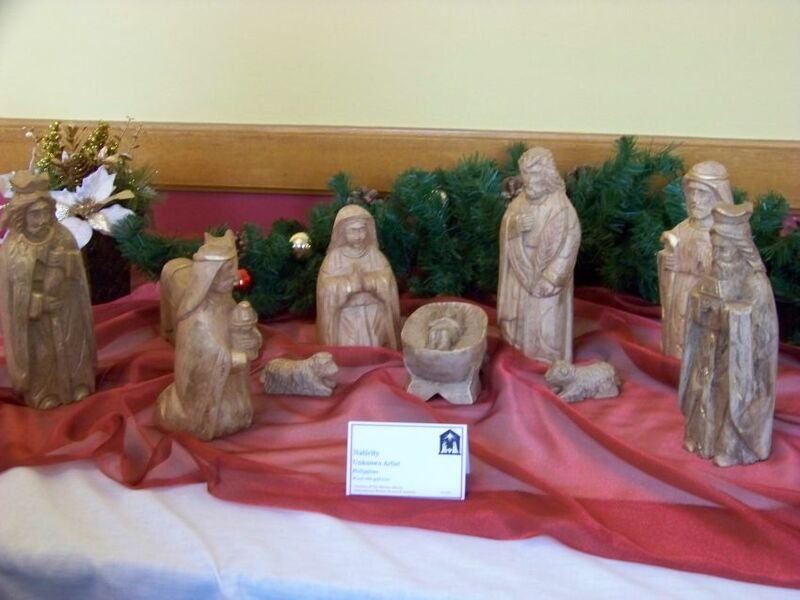 Thank You to Sister Martha Bertke, manager of the St. Charles Senior Living Community, for arranging the display. It was wonderful. Was that field trip for Latin class? I did take Latin and do remember taking that field trip, but did not recall the connection and I remember little else. Probably because my class went a couple of years before yours, Karen. It was a remarkably dull, dark place back then. In fact, about all that I do remember are the trees along the long driveway. As the years wore on, some died, some fell and now all have been cut down and replaced by new plantings. They were not particularly beautiful trees, but they were nice to see along the drive. 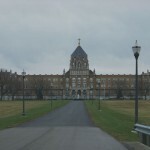 As I recall the monks were very secluded back then and so there was little activity in the building for anyone to see. I hope the atmosphere has changed for the current residents as it was a very gloomy place.